Stars, Mud, and Love–A Model of Everything: 1. The Very Small | The Meaning o' Life! It is very small and there are several different types. Some particles have mass at rest, some do not—those are called force particles—and some are merely theorized. 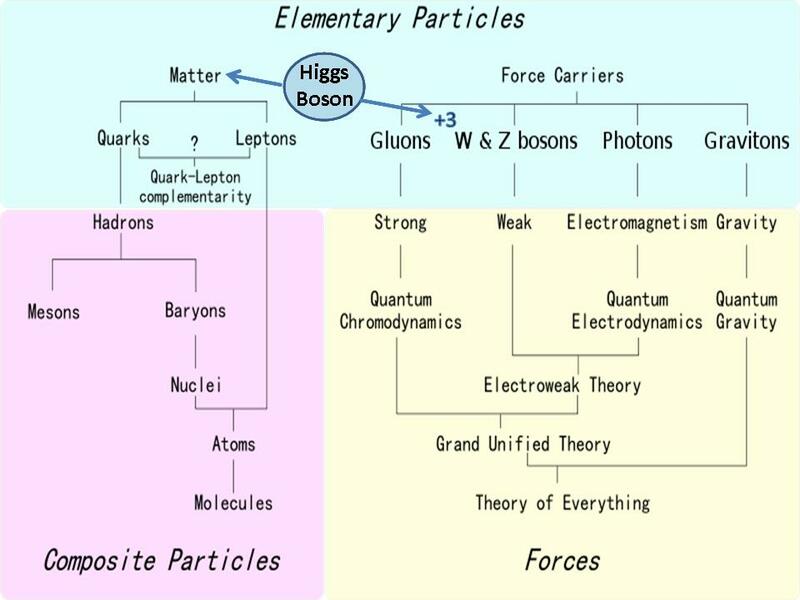 Elementary particles have names like: Leptons, Quarks, Photons, and Gluons. In fact, the number and complexity of interactions for known and theorized particles in the Standard Model lead many scientists to assume those particles are not so elementary at all. Perhaps, they theorize, ‘vibrating strings’ of energy lie behind each type of particle, but the science is not “there” yet, and since this is a model about what we think we know, I’ll not bring it in–at least for now. In either case, string or no string, our best theories hold that matter is a property of force. 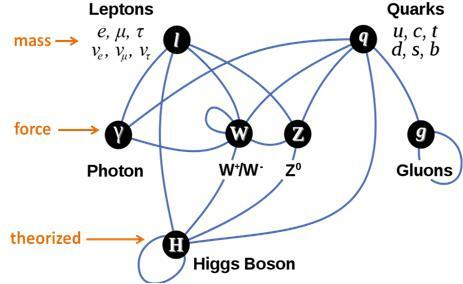 Matter arises when 3 W/Z Bosons combine with the yet to be proven Higgs Boson—currently sought by the Large Hadron Collider in Geneva, Switzerland.